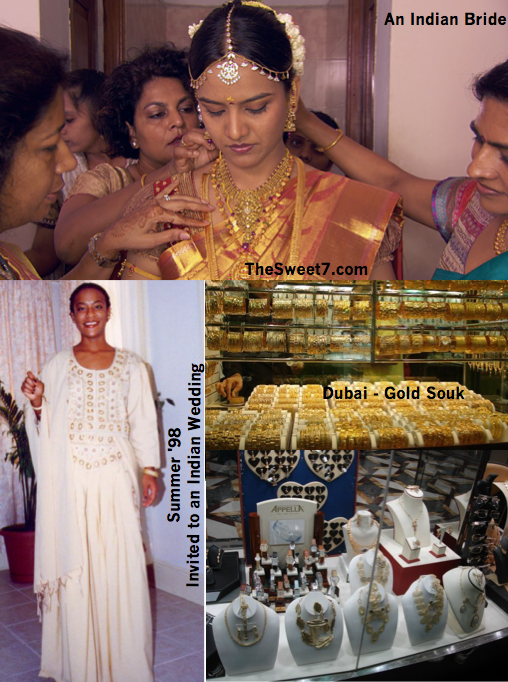 Last night, I watched the 60 Minutes segment, India's love affair with gold. ... And it reminded me again, how "diamonds were truly never my best friend!" Don't know a thing about them ... which certainly leaves me admitting I don't own a rock, better yet a chip of a rock! Nor, do I care. Certainly don't feel the least bit, worse for wear! I love pearls, simply cause as a child my dad would buy them for me. ... And 'though I hated Literature in St.Joseph's Convent in St.Lucia, I could never quite get the narrative from John Steinbeck's "The Pearl" out of my mind! "An accident could happen to these oysters, a grain of sand could lie in the folds of muscle and irritate the flesh until in self-protection the flesh coated the grain with a layer of smooth cement. But once started, the flesh continued to coat the foreign body until it fell free in some tidal flurry or until the oyster was destroyed. For centuries men had dived down and torn the oysters from the beds and ripped them open, looking for the coated grains of sand. Swarms of fish lived near the bed to live near the oysters thrown back by the searching men and to nibble at the shining inner shells. But the pearls were accidents, and the finding of one was luck, a little pat on the back by God or the gods or both." But forget my love affair with pearls, I love gold too! Probably one of the first gifts given to me, and still appreciated when given to me. ... And thanks to a love affair with East Indian and Arab cultures, the more intricate and detailed the gold, the more enamored I am, as I've gotten older! 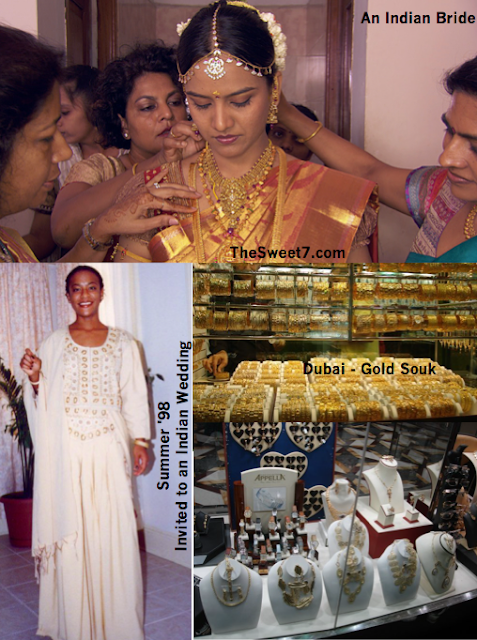 A few years ago, for my 31st birthday, a few friends and I visited Dubai ... and the Dubai gold souk was a sight to behold! Since it was my birthday, my husband bought me a beautiful very detailed bracelet. My appreciation for the mere beauty of GOLD came when I was invited to my college friend, Archita's sister's wedding in New York City, the summer of 1998. So "when in Rome" ... I decided, I had to wear a sari to the wedding. So my college bestie, the very person who invited me to my very first Trinidad carnival, Alisha and I went hunting the streets of NYC, looking for a sari for me! LOL! (Alisha also came to Dubai with me for my b'day.) ... And when I hear a tassa drum or when I start to position my fingers to do an Indian dance, my friend Alisha comes to mind! A Western wedding certainly has nothing on an Indian Wedding which goes on for days! ... And my goodness from a traditional Western - white wedding, an Indian wedding is ALL COLOR. Color, color, color. .... AND GOLD! It is the most beautiful sight! ... And I like how the Indian culture plays on virtue and innocence which makes it even more seductive. 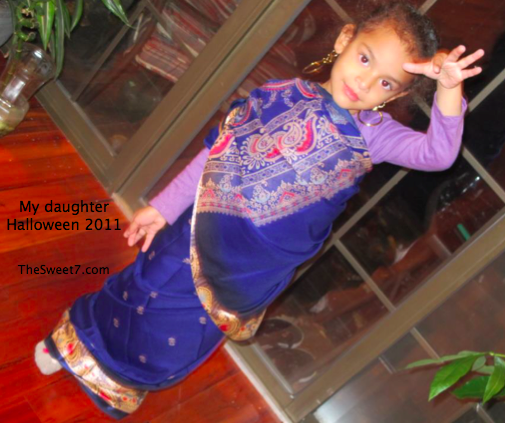 ... And BTW, this was one of my daughter's costumes for Halloween 2011. The other, she was a Chinese girl! For my Indian friends, Alisha & Archita and all the others!